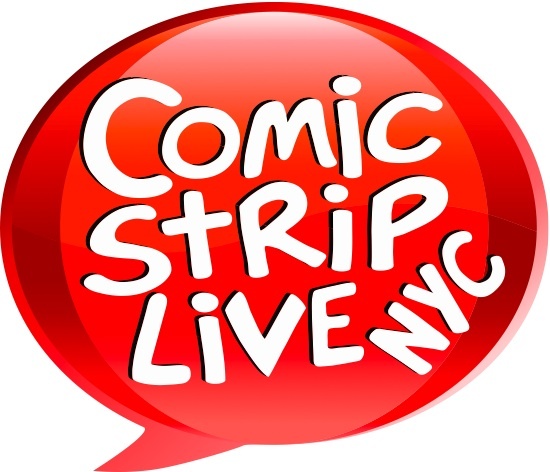 Comic Strip’s new talent shows are at 6pm on Wednesday or 5.30pm on Sunday. Both times are far from anything that could ever been considered any kind of prime-time, but the quality of the club dictates such schedule. Like most New Talent bringer shows, I had to earn my stage time by bringing audience members who paid a cover charge and were required to abide by the standard two drink minimum. I would prefer if some of these shows could offer no cover and a four drink minimum, as that would improve the show, but I don’t make the rules… yet. I performed on the show back on April 22nd, when I was a super newborn who started the set by explaining that the holidaze Pot Smokers Pride Parade on 4-20 (two days prior) started two hours after its scheduled time and went through the Chinese buffet where all the food was cold, as requested. Df Sweedler, who runs the show, took notes on my entire set and gave specific feedback that I found helpful. When I told him I’d only been performing for a month, he ripped up all of his notes and told me I was doing a great job. I was happy that he had provided his comments before tearing up the notes. Df stressed originality, and highlighted the jokes I had that could be developed into inventive bits. He also informed me that when I get the chance to audition, I should always present clean material because if you prove you can be funny clean, the powers that be will assume you can be funny dirty, since that is an easier feat. I understood. It made perfect sense. Mental note taken. Hopefully, auditioning would be in my future, but for now, I focused on shaping my material and growing my stage presence. For yesterday’s show, I asked that Df watch me again. I looked forward to more words of wisdom, especially since I was doing an entirely different set than I performed back in April. Unfortunately, he didn’t observe my decent performance. I don’t know why as I didn’t get a chance to talk to him before I left for the obligatory dinner with my friends to get a chance to show them my appreciation for their support. Heard you were kinda dirty last night. Are you sure that’s the road you wanna take? I’m only doing completely dirty and offensive stuff now. My goal is to alienate the audience as much as humanly possible. Of course. I’m a comedienne. All I do is kid. That was the last contact we had. As soon as I learned that the drink prices at Comic Strip were being raised to $12 per beer and $14 or more for cocktails, I did not return to the New Talent shows there. If my friends took me to a bar with $12 beers, I’d never go out to a place they chose again.